Sade Ofset Matbaacılık Ltd.Şti. (Sade Printing House LLC), providing services to companies in a wide range and capable of performing its production within its own facilities -thanks to the machinery thereof capable of offset, flexographic and letterpress printing and by virtue of its bookbinding workshop- was established through Mr. Galip Demir (1939-2007) in 1974 in Cağaloğlu district of Istanbul province.In 1996, our company moved to its building in the Bağcılar Matbaacılar Sitesi/Massit (Bağcılar Printing House Complex) where it currently operates. Our company, Sade Ofset, continued to make printing of promotional and advertising materials in the years subsequent to the inception thereof and in the ensuing years, our company focused on providing the esteemed clientele thereof with innovative choices as to labels, booklet labels, packaging materials and production of POP materials in line with the developments in the market. Our company has collected all the pre-press, press and post-press production processes under one single umbrella. We take our strength from our values. We have been working for 40 years with the same dedication; we are continuing the honest, just, human-focused business model that was taught to us by our founder. Our employees work and serve as a family. We aim to proceed along with the laws and with the requirements of our Integrated Management System, which has been built on our vision, mission and values. We aim to be a customer-focused and distinct company, which makes a difference in the sector via innovative products and services. We aim to gain the trust of all parties involved, and to contribute to sustainable economic growth. 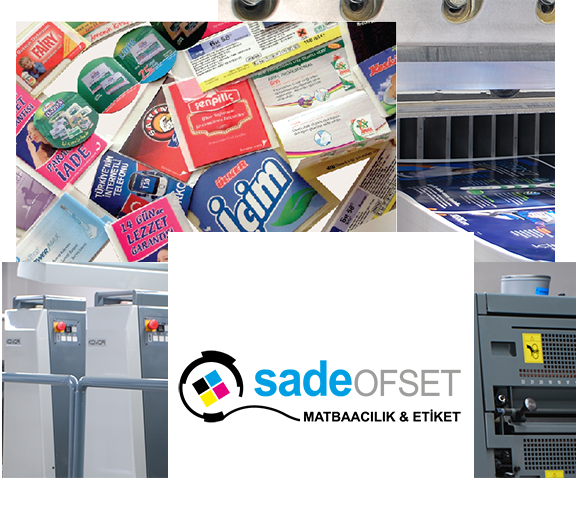 The general manager of SADE OFSET, Mr Murat DEMIR, is one of the founders of the printing sector’s non-governmental organizations: BASMEN (Printing Members Association), BASEV (Printing Industry Education Foundation) and ESD (Label Industrialists Association). He is currently active as the president of BASMEN’s board of directors and as the vice-president of BASEV’s board of directors.